4shared is like a large virtual folder for your data. You can access your files anytime you need, being sure that they are always kept safe in your 4shared account. In addition, 4shared enables you to share links to your content with others. 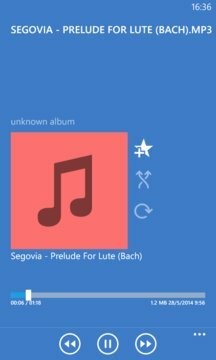 • Powerful search options: search for music, videos or any other data within the massive 4shared database and add files you wish to your account for further access. • Easy account management: upload, view, move, copy or delete your files just in a few taps. • Online streaming of media files. 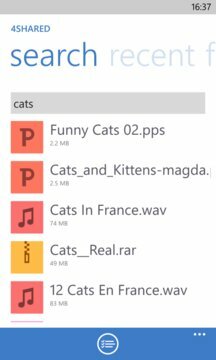 • Offline access to files, stored in the “Favorites” folder. • One-tap download of any files from 4shared directly on your phone. • Advanced sharing: sending links to files via email, sms or social networks.